Fire Mountain residents Lennie Rae Cooke and Fred Murray will host an informative evening with City Council candidate Chuck Lowery on Monday, July 21, from 7:00 to 9:00 PM. This is a great opportunity to met the candidate and become an informed voter. For more information and to register in advance please go to Lowery4Council.com. Also that night – Jennifer Bledsoe Lacy will be in attendance – you may want to meet her and hear what she has to say! Categories: Events, Politics | Tags: Oceanside City Council, Vote | Permalink. Thanks to everyone who came out to the first Fire Mountain social club event and to the Privateer Coal Fire Pizza, who hosted the gathering. 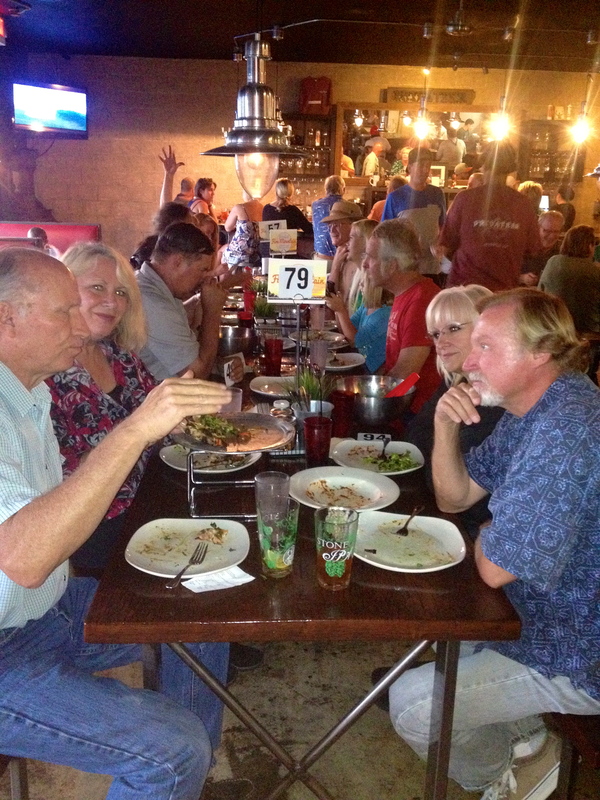 The atmosphere was fun and the food was fantastic! Definitely great times with our awesome Fire Mountain neighbors. If you missed it don’t worry, there are more chances to mingle coming up. Be sure to mark your calendars for the end of summer BBQ on August 24th. More info coming soon! Categories: Meetings and Events | Tags: Fire Mountain, oceanside, Privateer Pizza | Permalink.